The Association has been a unifying source to the specialty Obedience Clubs of Northern California. Our Association dates back to 1951.…our members belong to licensed/member AKC Obedience clubs in Northern California and represent their clubs. Members meet quarterly, in or around the Bay Area during the months of January, April, July, and October. We use these meetings to share information pertinent to the Fancy, to familiarize ourselves with the various activities the clubs offer, to have an opportunity to get to know each other and to become friends. The Association is a non profit organization that works to further the work of the members. We do this in a variety of ways. 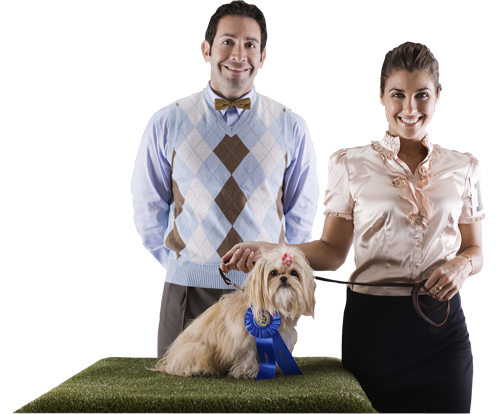 Each year the Association sponsors two obedience events which are hosted by the members. The annual All Breed Obedience Workshop in February is our major fund raiser for the year and requires considerable planning and work. The Interclub Competition is held in June. Recently Interclub has been expanded to include Rally Competition, a CGC test, and a pre-novice class for our starter dogs. We encourage our trainees to participate in Interclub so they can start off in Obedience with the support of their friends. Winners of the club competitions are awarded perpetual plaques and the individuals making up the teams are given Rosettes. We have included a General Pot Luck at the end of the event in order to further camaraderie. We support the work of the individual clubs in other ways as well. Clubs are acknowledged for their long term contributions to the Fancy with certificates for special obedience trial anniversaries or founding years. We award Appreciation Awards to individuals who have worked long and hard for the Association. Yearly, we hold a Presidents’ Appreciation luncheon inviting all the presidents of our clubs to be our special guests. The Association offers $500 scholarships for Obedience Junior exhibitors in conjunction with scholarships offered at the SunMaid Kennel Club. Last year it was offered in the names of deceased judges Charles Cobb and Jim TenEyck. This year it will be offered in the memory of Judges Keith Coyne and Beverly Cobb. A High Combined Challenge Trophy is currently being offered by AOCNC in memory of Judge Julius Hidassy at the Puli Specialties. To further promote our Association clubs, each year a full page ad is purchased in the Golden Gate KC catalogue. All clubs are listed along with a contact number. At our Education Table during the two days of GGKC, educational materials and helpful hints are offered to the public. An AOCNC information sheet helpful in locating any one of our clubs is offered along with fliers giving specific information about our clubs. We also prepare an ad listing all the clubs of the AOCNC for publication in the Mt. Diablo DTC Dog Show/Trial Calendar. We thank member Mt. Diablo DTC for this courtesy. Recently we were proud to present a seminar dealing with Aggressive Dogs. This seminar is presented for the trainers of our associated clubs and not open to the pubic. As a result our AOCNC trainers will be better equipped to deal with this type of dog. Our latest effort to promote our member clubs is the inauguration of the AOCNC web site (AOCNC.org) which connects all interested parties to our clubs’ mailing addresses and websites as well as to the Association and its events.